UPDATED: Tue., Nov. 6, 2018, 10:08 p.m.
Law enforcement officers in Washington will face different standards for incidents involving deadly force. 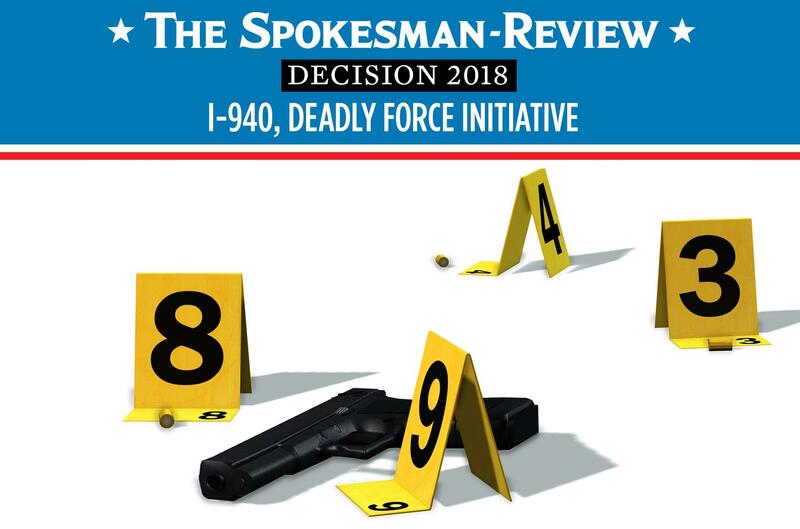 Initiative 940, a reaction to a series of officer involved fatalities, was winning with 59 percent support after Tuesday’s count. Spokane County voters backed it with 55 percent support. Current law says an officer can’t be held criminally liable unless he or she acts with malice, a standard which is difficult to prove. In 2006, Otto Zehm, an unarmed janitor who suffered from schizophrenia, died in police custody after being struck multiple times with a baton, hogtied and shocked with a Taser; county prosecutors declined to press charges in state court. An officer involved eventually served four years in prison on federal charges. Under I-940, that the standard will shift to protection if they meet tests that they objectively believed it was necessary to prevent death or serious harm to themselves or others and subjectively considered it warranted under the circumstances. The proposal also has other provisions for improved training and rendering first aid, but the change to the malice standard was the most controversial. Filed as an initiative to the Legislature, lawmakers tried to negotiate some changes between the sponsors and law enforcement groups that had objections to the two-part test and passed an alternative along with the initiative late in the 2018 session. But the state Supreme Court ruled they didn’t follow the Constitution in trying to change an initiative; the court ordered the original proposal go before voters but said the alternative didn’t qualify for a spot on the ballot. Both the supporters and opponents of the initiative said they’d back changes like the Legislature previously approved when it convenes in January, but they disagree on what’s the best strategy to get that result. I-940 supporters said passing the bill will keep the pressure on lawmakers to act. Opponents said making changes will be harder if it passed because that requires a supermajority in the next two years. Published: Nov. 6, 2018, 9:57 p.m. Updated: Nov. 6, 2018, 10:08 p.m.